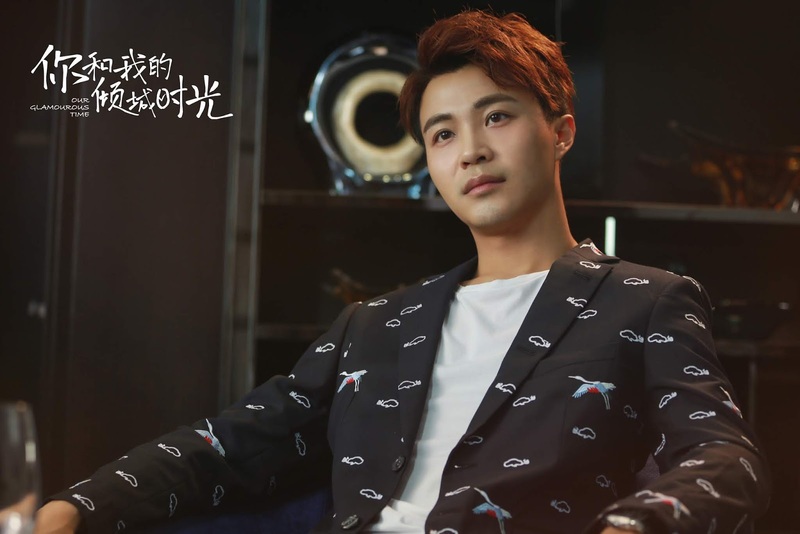 Our Glamorous Time 你和我的倾城时光 is a 50-episode drama which focuses on business with a healthy dose of sugar; office romance. 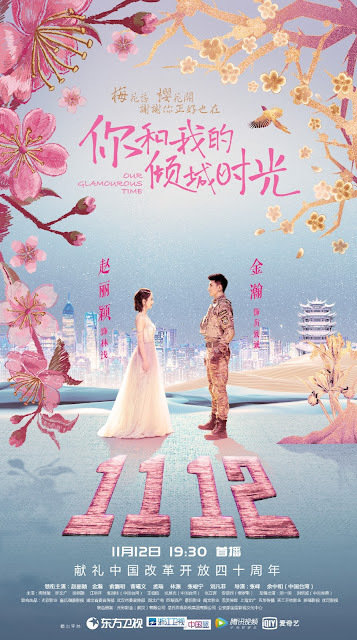 It is based on a novel of the same name by famous writer Ding Mo 丁墨. The story starts with Lin Qian's brief encounter with the mysterious major, Li Zhi Cheng while on vacation. 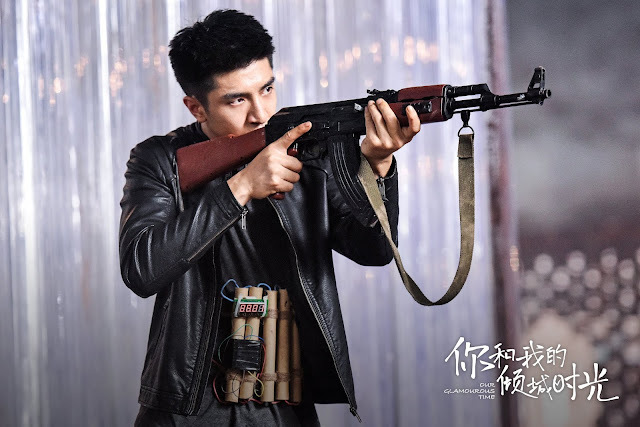 The two met again in Lin Qian's new workplace as he entered the company incognito to sniff out corporate spies while she had mistaken him as the new security manager. Soon, Li Zhi Cheng took over as the new CEO of Aida and she becomes his assistant. She helps him revive the company on the verge of bankruptcy, and they fell in love with each other in the process. This is the first time we get to see Zhao Li Ying (The Story of Minglan) in a modern drama after Boss & Me in 2014. However, the character she portrays in Our Glamorous Time is different from the naive and innocent Shan Shan. Lin Qian comes off as an elite career woman, smart and beautiful. There are some controversies about her new hairstyle but for me, it is a good decision. It gives her character a more mature feel. Meanwhile, Jin Han (Princess Agents) gets his first lead role as Li Zhi Cheng, the cold and mysterious major who retired from his promising military career to save his family's failing business. As a military man, he is somehow cold and detached but I love the way he shows subtle care for Lin Qian even in the early stages of the story. After taking over the company, Li Zhi Cheng's career as new CEO was not smooth sailing. He has no firsthand experience in business making the company executives doubt his abilities. On the other hand, outside the company, there are vicious competitors who can't wait for their business to fall apart. 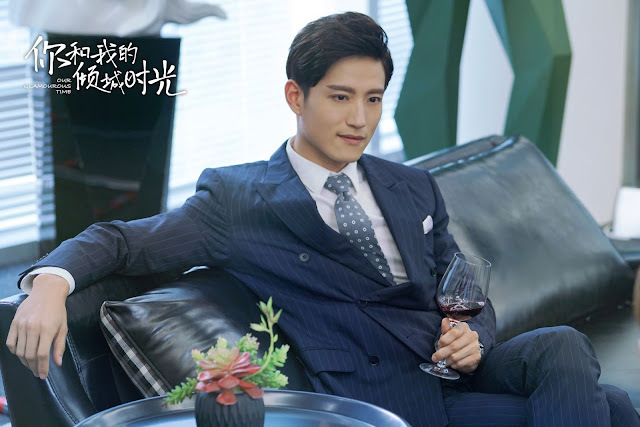 One of which is Lin Qian's former boss and suitor Chen Zheng played by Meng Rui (Best Get Going), the CEO of SMQ group. There is also Ning Weng Kai, played by Johnny Zhang Jun Ning (Flying Swords of Dragon Gate), CEO of Baorui group, which is Aida's the largest competitor. And Lin Yuan (City of Devastating Love) as Chen Ya Yi, Lin Qian's friend and later, Chen Zheng love interest. 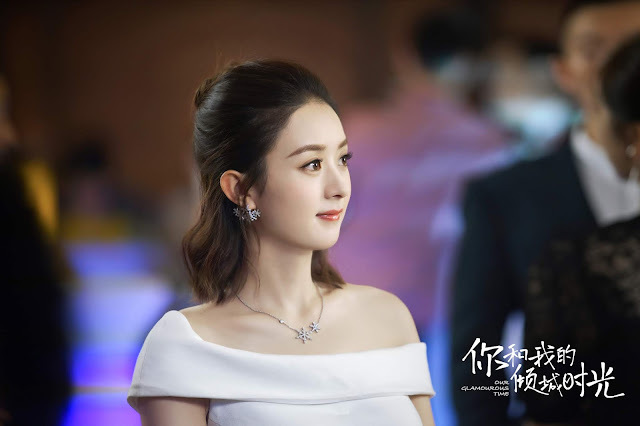 Li Fan Fei as Li Jin Yuan, Li Zhi Cheng's younger sister who comes in between Chen Zheng and Chen Ya Yi .Zhou Yiwei and Hawick Lau guest star in the drama. Ding Mo's novels are never a disappointment. Although CEO novels are somehow saturated. Our Glamorous Time comes as fresh as it does not just focus on the romance, but more on the technicalities of the business industry. Lin Qian's character is not the typical damsel in distress saved by the mighty and domineering CEO. Instead, she has strengths of her own and her business acumen does not lose to men. I also like how Li Zhi Cheng uses military tactics on business. Even, referencing on "The Art of War" to topple his competitors. Actually ZLY was in another modern drama after Boss & Me known as Best Get Going. I will definitely be watching this bcos I liked the novel, ZLY in another modern drama and Jin Han will get his own lead and as a good guy this time. Can't wait..
Ugghh why 58 episodes? I finished reading this novel few months ago and it does not contain that much content. Also soo many new characters! Some were not even there in the novel! I <3 ZLY but... Idk if I can sit through 58 episodes... T-T then her Minglan with 78 episodes... I hope it's good because I dropped Agents even though I really wanted to push through... It got really repetitive and annoying towards the ending... Then the ending.. Don't get me started on that... Lol. I hope this book adaptation doesn't stray too far from the book content then it should be fine.